Located in the vibrant inner city village of Potts Point and places the best of Sydney at your doorstep. 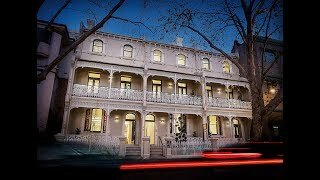 Just a short walk to trendy cafes, Sydney city and harbour and set amongst a mix of historic art deco and modern architecture, Spicers Potts Point exudes an effortless blend of classic Sydney heritage character with a fresh contemporary feel. Spicers Potts Point is comprised of 20 guest rooms housed within the 1880 Victorian Terrace House with a textured laneway outlook. These former Sydney townhouses are surrounded by fashionable shops, cafes and restaurants and offer convenient access to Sydney’s world class attractions.